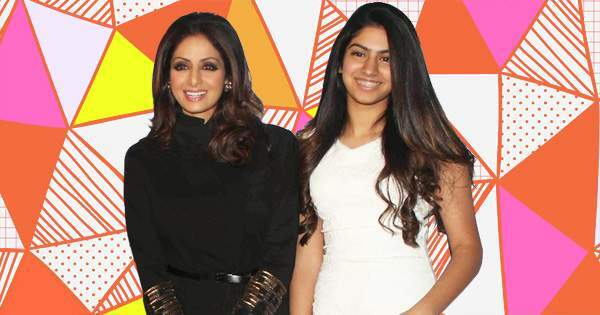 Sridevi's younger daughter Khushi has been in the news for "auditioning" for a dance-based show, but the veteran actress has denied the rumour. NEW DELHI: Sridevi's younger daughter Khushi has been in the news for "auditioning" for a dance-based show, but the veteran actress has denied the rumour. Earlier this week, it was reported that Khushi auditioned for choreographer-filmmaker Remo D'souza's "Dance Plus" show. But Sridevi says it is "wrong news". "Khushi is not participating in any kind of dance class or any show. It is not at all true. We are really surprised… where this came from," Sridevi told IANS here while promoting her forthcoming movie "Mom". She added: "The other day, we were laughing at the rumour. My daughter came and asked ‘Where is this rumour coming from mumma?' I said 'This rumour came out of the blue'." What about her elder daughter Jhanvi's Bollywood debut? "You will know when it will happen," said the mother of two. Describing her relationship with her daughters, she said: "I am not possessive, but very protective. We are more like friends, share and discuss everything."